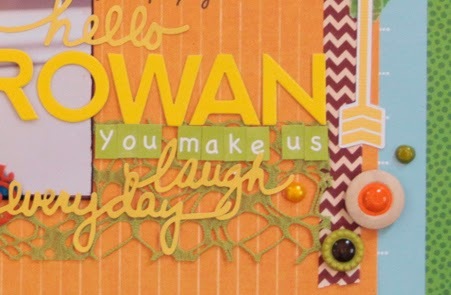 It's time to have a blog hop again with Practical Scrappers! No theme this time, so I just did a bit of digging for some very old product ( ok I didn't have to dig very much). Couple the blog hop with some of the daily product challenges from Mojo Hunting, and I came up with a page that is a perfect mix of old and new. 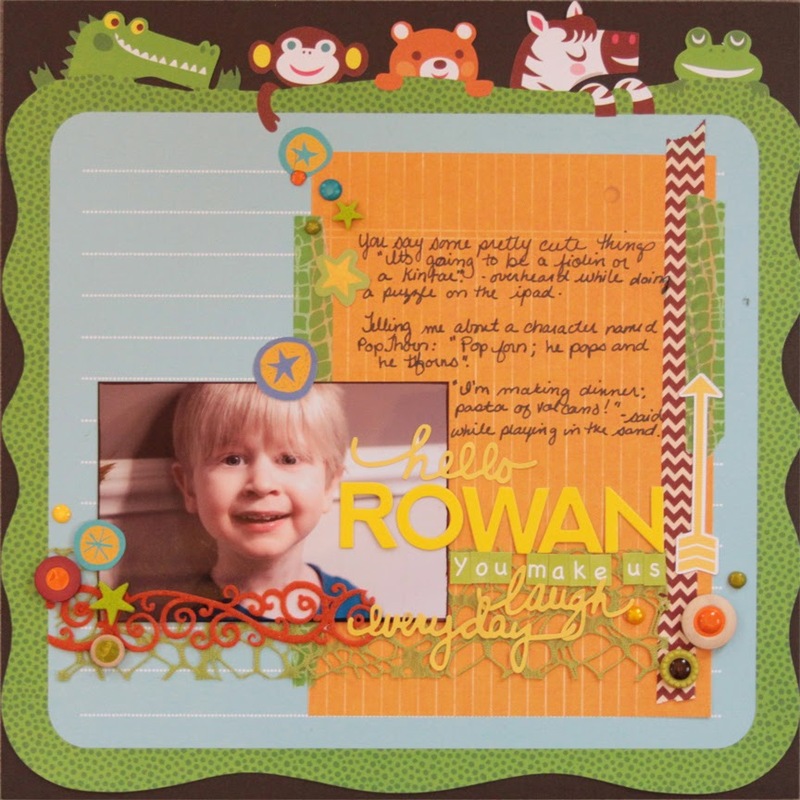 The die cut paper with the animals is ancient Creative Imaginations, but I still love it, and had to use it somehow. To keep the page fresh and up to date, I used some washi tape that worked well with the colours and patterns of the paper, and new Beanboard Alphas from Jillibean Soup. I paired them with matching yellow Wise Words stickers- I love, love, love yellow alphas, and this shade of yellow is my favorite. I love the look of the new wooden buttons with enamel centers, but didn't have any on hand, so I made my own using wood and plastic buttons and Viva Decor pens. Trim: Green Tara, Queen and Co. Since this is a scrap your stash hop, I'll be giving away a small selection of product from my own stash to a lucky commenter. Many designers are giving away small prizes on their blogs, so visit as many as you can and leave some feedback please. You will be visiting my fellow Canuck Lee-Anne Thornton next!